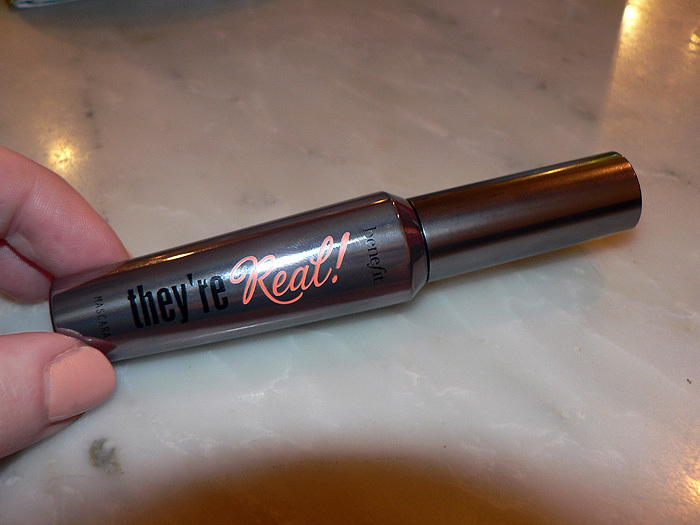 … I squeed when I spotted Benefit’s new mascara wand in person earlier this month. We all have our favourites don’t we? Some like ’em long… some like ’em fat and others just like them to do the job well. If you’re smirking… you are disgusting. Benefit’s They’re Real! mascara comes in one shade. Black. That suits me fine… I don’t really do coloured mascaras they make me feel like an 80s throwback. So anyway, this brush… what the hell is so exciting about it? Well, the Boots No7 Exceptional Definition is still my favourite mascara, I even called it Holy Grail (you can see a before/after in the previous link) and do you notice a similarity between the wands? Boots No7 Exceptional Definition on top, Benefit They’re Real! on the bottom. They both have the end spikes but I’m liking the look of Benefit’s longer er ‘prongs’… ok, someone MUST know the proper word for that?! Of course, the brush is only half the story. If the formula is pants, it’ll end up in my cosmetic graveyard for all eternity but I’m expecting and hoping for great things! I just wish the price was a bit lower, Benefit really do like to charge top end prices, sigh. I’m really looking forward to this launch. 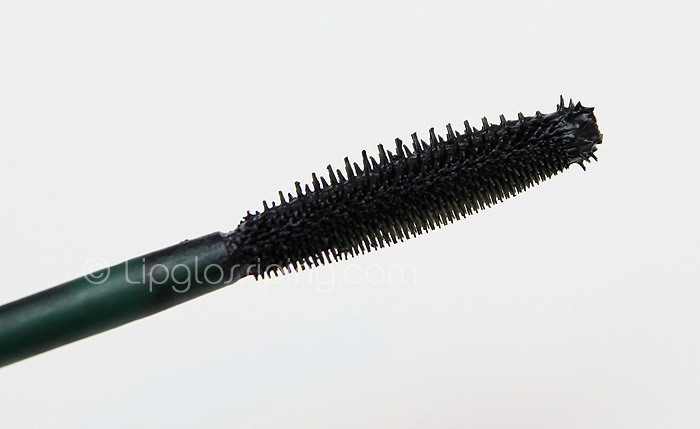 The tip of the wand reminds me of Givenchys phenomen mascara, but with the practicalities of a regular wand. Wands are a big factor for me! This looks right up my street! 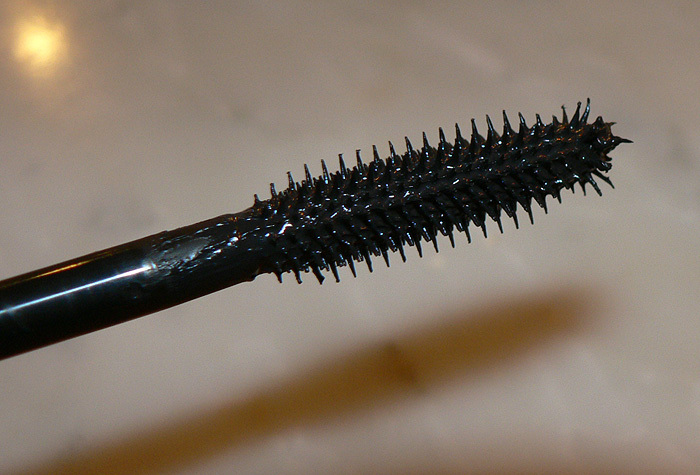 I love rubbery mascaras.. might just have to try it out! The wand looks very interesting. I will have to check out this mascara. Haha, prongs! Maybe bristles is the word, or does that not apply to plastic wands? As I prefer big fat mascara wands, like the Bourjois Volume Clubbing one and the Collection 200 one I use right now which has a HUMONGOUS wand, I think I’ll steer clear of this Benefit one until I see it in action. OOoh, that looks REALLY good. August! That’s not too far away I suppose. This is definitely on my wants list! I love big eyelashes but I HATE big brushes! I guess I’ll stay faaar faaar away then – I’m currently using the Boots one because it was ridiculously expensive for a high street mascara and I absolutely hate it. I’m just going to stick with my BadGal – love the black and love the purple even more, nothing better for my brown eyes. *sigh* It’s been a long day at work. What I mean is I’m using the Boots despite hating it just cause I don’t want to bin it as it was so pricey. There. L’Occitane have Christmas all wrapped up! Free Delivery at Cheap Smells! Uh Oh, the bloggers are taking over BuyaPowa! Body America - Organics with Attitude! Naked 2 Palette, Urban Decay do it again!